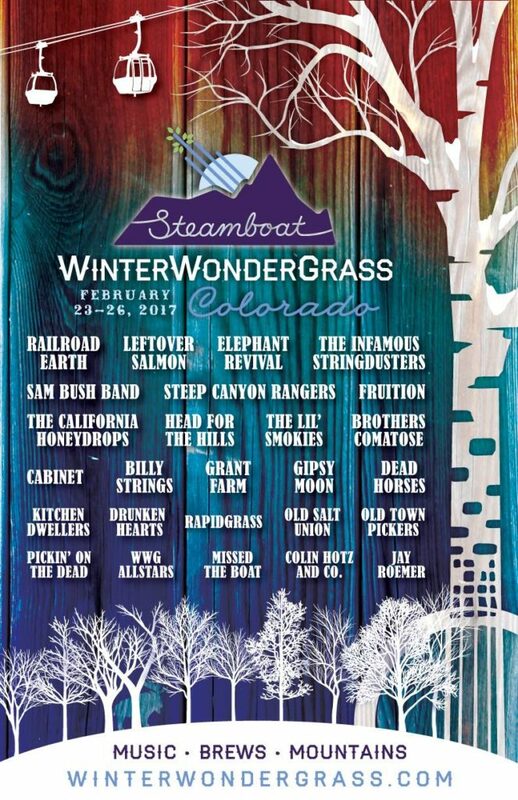 The originally sold out WinterWonderGrass Steamboat festival has just announced a very limited number of 3 day festival tickets for $199 that will go on sale next week. These tickets will go as quickly as the rest so sign up for the WWG newsletter and keep your eye on social media posts for information. WWG is also giving fans six different chances to WIN festival passes in person February. 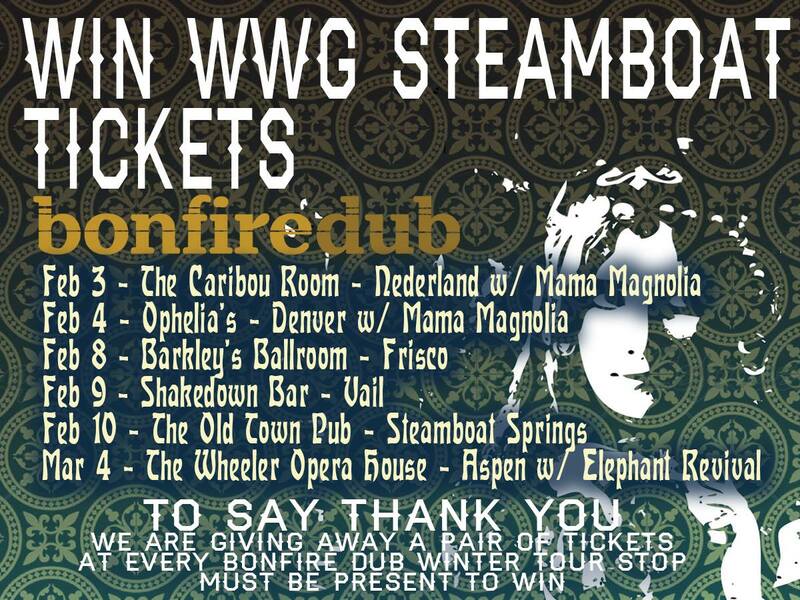 Join Bonfire Dub and WWG Founder Scott Stoughton for one or all of the Road to WonderGrass shows for your chance to win your way to WWG Steamboat February 23rd-26th in Steamboat Springs, Colorado. For those of you WonderGrassers who already have your tickets, Steamboat LIFT tickets are $229 good for three days of skiing between February 22nd-27th.